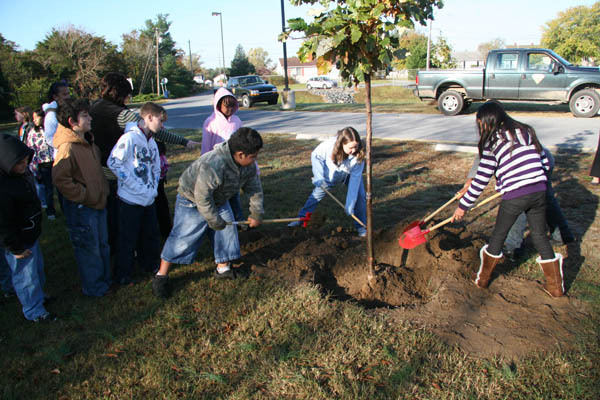 Delaware Trees – Page 64 – Putting trees first in the First State! Over 500 students at Blades Elementary School helped to plant 30 new trees that will become a permanent part of the school grounds. 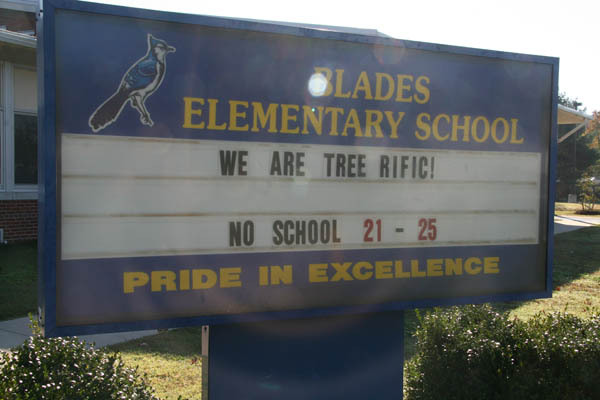 The school is now Delaware’s first “Tree-rific School”. 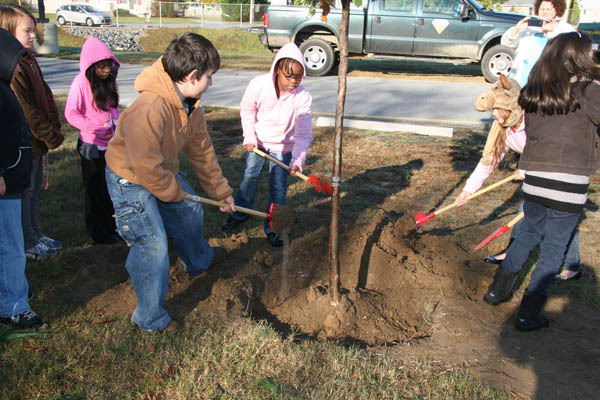 The project is part of the Delaware Forest Service Urban and Community Forestry Program’s effort to improve water quality in the Chesapeake Bay by increasing tree canopy in the urban areas within the watershed. Students at Blades Elementary have blended trees into their curriculum, created tree-themed displays throughout the school, and learned about the many benefits of trees, including how they can help clean the air and the water supply. 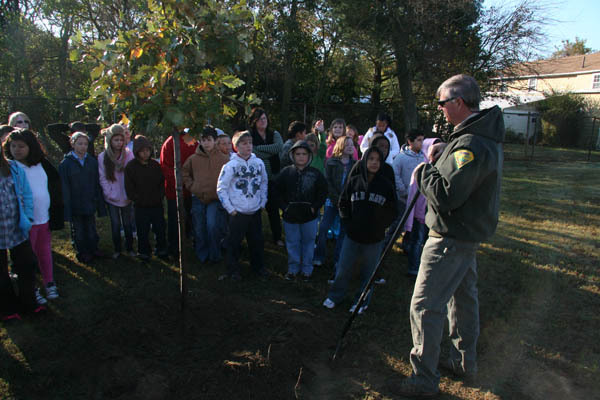 The students and their outstanding efforts have earned them the right to be Delaware’s first “Tree-rific School”! Photos can be seen at our Facebook Page. For more information about the program, call (302) 943-7869 or send an email to Kyle Hoyd at kyle.hoyd@state.de.us.